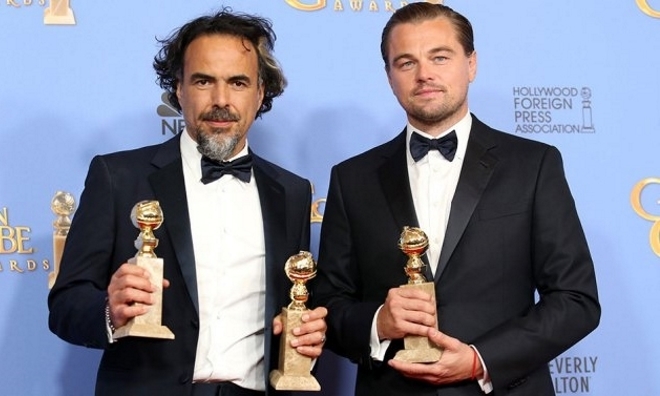 In what was perhaps the strongest indication yet of which films will walk away with what at next month’s Academy Awards ceremony, Alejandro G. Iñárritu’s The Revenant dominated this year’s Golden Globes with wins for Best Picture, Best Director and Best Actor for leading man Leonardo DiCaprio. Elsewhere there were also victories for The Martian and the film’s Matt Damon, Brie Larson for Room and Sylvester Stallone as Best Supporting Actor for Rocky follow-up Creed. The 88th Academy Awards ceremony take place on 28 February 2016 at Hollywood’s Dolby Theatre.